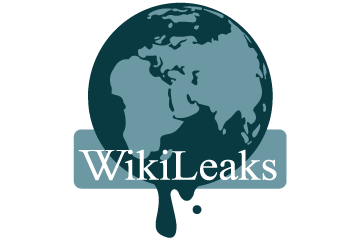 We define Wikileaks as a private organization started by Julian Assange, bent on releasing government secrets into the world. Detrimental means causing immediate harm, to the government. 1. WikiLeaks creates tension within governments and between governments, which is detrimental to the overall stability of the world. When WikiLeaks releases secret government information, it creates tension between enemies and allies. These spilled secrets are detrimental to governments because they reveal covert operations, strategic alliances and content taken out of context that may be misinterpreted by a country’s allies and enemies. In 2013, Army Private First ClassChelsea Private Chelsea Manning was arrested for handing WikiLeaks government videos, photos, and documents about America’s wars in Iraq and Afghanistan. She was sentenced to 35 years in prison. Manning was not aware of the consequences her actions had, and during her trial she stated “When I made these decisions, I believed I was going to help people, not hurt people.” The truth is, WikiLeaks should be held responsible for releasing this information to the public. After this incident, the US was very worried about the impact the information would have, which probably led to an even harsher sentence for Manning, even though she was devoted to helping his country. Clearly, WikiLeaks was responsible for creating this tension. After the NSA leak showed America has been spying on other countries such as Great Britain. Now on the outside this may be a good thing but when you dig deeper this causes tension which leads to war. War is horrible for both sides as both sides spend million on it and lose countless lives.This relates to governments in the entire world because many other countries around the world depend on the United States for stability. If secrets are released that can severely damage the government and the us as a whole, then the rest of the world will be greatly affected as well. For example, If the United States economy falls, the rest of the world will also fall. Thus, we have shown that our impacts extend beyond the us and affects the entire world. Also, in some politically unstable countries, complete transparency is extremely detrimental to the health of the nation. Our American democracy, already established for 300 years, may be able withstand government scandals like watergate. However, other countries in the Middle East currently rife with political instability (like Iran and Afghanistan)may undergo rebellion after rebellion if opposing and power-hungry groups take the opportunity of exposed secrets to overthrow the government and cause mass chaos. WikiLeaks will release anything, regardless of who it will hurt. Clearly, WikiLeaks is detrimental to the government if it can create this tension within governments, and cause so much worry within the government when important secrets are released. Wikileaks has revealed how we catch terrorist and terrorism have learned to work around our defensese. Not only that, tension can and will lead to war which costs both sides millions of lives and millions of dollars. Judge, Wikileaks is bassicly saying that they want war. They want the world to lose countless of soilders and good people working for their government. 2. Wikileaks endangers the lives of many people working for the good of our government, like informants and spies. US diplomats meet with local human rights workers, journalists, religious leaders, and others outside the government who offer their own insights. These conversations depend on trust and confidence. When private government conversations are no longer private, it negatively affects the whole government. WikiLeaks also revealed the identities of spies and other workers in secret, dangerous jobs, and when their identities are revealed their lives can be put in danger. They will be excacuted and they will be persecuted. Furthermore, Wikileaks' recent rise to prominence via its November leak of more than 250,000 government "cables" has caused the government to tighten its informational security. After the leak, the White House released an official memo that told government agencies and departments to review their workers' accessibility to classified documents to ensure that workers can access only what they need for their job. This reduces the ability of workers to "connect the dots" between people and events, because they don't have access to all the information available. The chance that we can identify and stop terrorism against our nation is thereby diminished, and our national security is put at risk.In leaking information, WikiLeaks makes it harder for the US to get information about other countries, and puts people in danger. In the past it has compromised the identities of informants in Afghanistan, putting them at risk to Taliban assassination. Even if they are not killed, they are not of use to the United States if it is known they are a spy. Defense Secretary Robert Gates said that a July 2010 leak would endanger Afghan informants who were identified and cause "significant harm or damage to national security interests of the United States". WikiLeaks also damages the chances of future source recruitment. Spies will not be as willing to help us because they don't believe that we can keep their identity a secret. WikiLeaks is dangerous to many people holding important positions, including government officials. When people can no longer trust that their secrets will be kept, they will stop talking about them, and this amount of secrecy creates an unstable government, which is detrimental to governments around the world. By putting these people in danger, WikiLeaks is negatively impacting governments, and making it harder to get jobs done. It will stop spies from going to countries and countries being able to make sure one country isn’t getting too powerful. 3. Wikileaks can cause confidential government secrets to be handed right over to enemy governments, endangering our national security. Wikileaks makes it possible for secret military documents to be sold to other countries for great sums of money. This causes enemies of countries to start wars because of their newly claimed military secrets, which would give them an advantage.According to Time magazine, Wikileaks is responsible for posting thousands of pages of documents about the U.S wars in Afghanistan. Judge, If wikileaks is posting these extremely secret documents, why would it be good for governments? Wikileaks is saying they want transparency, but if transparency creates wars and kills people, it is not a good thing. Wikileaks posting these documents puts American soldiers at risk. Not only that it puts great risk on other militaries around the globe. It puts risk on all of our spies and naval bases because they will be attacked and killed. We will have countless casualties on both sides which will overall be detrimental to governments around the world. To conclude, Assange and Wikileaks are putting lives at risk by causing wars from the leak information. Clearly, if government secrets are being released by Wikileaks, it is detrimental to c governments. 1. Wikileaks helps prevent countries from being unjust and undemocratic towards its own citizens and allies by not releasing information that the people deserve to know. With wikileaks, we can help to prevent undemocratic actions amongst the governments, which will lead to more trust among allies, citizens, and potential trading partners. Thus, with Wikileaks, we can build trust and gain allies, which will overall benefit the world and its economy. If Wikileaks did not exist, the United States government would become even more corrupt and keep more secrets. Wikileaks revealed that the British spy agency — and not the United States —was behind a cyberattack against Belgian telecommunications company Belgacom. The attack was labeled by Belgian authorities as an act of "state-sponsored espionage," a serious allegation considering that both Belgium and the United Kingdom are allies and members of the European Union. Another document leaked to the public in 2009 said the U.S. government regularly hands over intercepted communications to the FBI that have not first been reviewed by U.S. analysts for privacy concerns and therefore may contain phone calls and emails of innocent American citizens. Because of Edward Snowden and Wikileaks we learned that the Obama administration enabled the National Security Agency to collect caller information from Verizon through a “business records” provision of the Patriot Act, established under President George W. Bush. The government ordered Verizon to hand over call information on a daily basis, including the time, location and duration of calls. The Verizon leak enabled the American Civil Liberties Union, a Verizon customer, to file a lawsuit charging that the NSA's mass collection of metadata violates Americans' constitutional rights of free speech, association, and privacy. And it has been proven that these acts are unconstitutional — in July the court that oversees NSA spying ruled that the agency's domestic dragnet violated the Fourth Amendment's restriction against unreasonable searches and seizures. Additionally, Wikileaks tracks communication lines in the US, making terrorists use alternative communication methods with more people involved; making it easier for the US government to catch the terrorists. 2. By pointing out deficiencies and weaknesses, a government’s cyber security system benefits from Wikileaks. Wikileaks, by releasing information that governments think is secure, helps that government by forcing it to strengthen its national cyber-security. “If the trade-off is that we now made it much, much harder for these networks to communicate, that actually could help national security,” said Allan Friedman, a cybersecurity expert at the Brookings Institution. There’s a potential upside of his releasing the information. If the leaks create a situation where terrorists “have to rely on more couriers, more people that we can turn into assets for our country, more sources that are vulnerable to human intelligence and things like that, then you can imagine a benefit for national security.” What happens if the terrorists get ahold of the nuclear codes? If they know our every military move then we are in terrible danger. If governments tighten up on national security than terrorist attacks will become far and few between. They will no longer be able to identify who spies are or where to bomb next. So in turn, Wikileaks is strengthening national security. 3. Wikileaks is one of the only truly free presses. The impact is a positive one for the American democracy, as it exercises the rights of free speech and free press our country is founded on. Wikileaks allows other journalists to have proper evidence to write their articles; and especially since the have been zero links to deaths due to Wikileaks, it would be unconstitutional to ban Wikileaks. 4. Wikileaks helps with the anti war movement. The Wikileaks's goal is possibly to help with the anti war movement by uncovering when America has made some very questionable decisions impacting other countries. This would help with the anti war movement because if you release the brutal secrets of America’s government, it could help change the strategies of the government when it comes to war. It could possibly create more planned out and less brutal strategies. The face of Wikileaks, Julian Assange, has made it clear that they wanted to uncover the brutality and futility of war. One example of this is with the war between Afghanistan and America. Using the uncovered records, the media has detailed some heinous actions. There was also evidence of war crimes, and shooting sprees of U.S. troops.